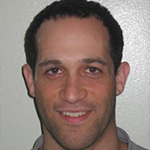 Joel Adelberg is Assistant Superintendent of Curriculum and Instruction for the Bedford Central School District, New York. He earned his Doctor of Education from Fordham University. Adelberg served as the principal of Fox Lane High School, in Bedford, NY, for seven years prior to assuming his current role. He is also a former principal of Croton-Harmon High School and a former assistant principal of Horace Greeley High School, both located in New York. Victoria Antonini is the principal of Sunset Park High School in Brooklyn, NY. She has worked within the New York City Department of Education for over twenty years as a classroom teacher and as an assistant principal. She is dedicated to working towards realizing the goal of providing an accessible, inclusive and excellent education for all children. Scott Bain currently the principal of Jefferson County Open School in Lakewood, Colorado. He has worked as a teacher, an advisor, an instructional coach, and a principal in several progressive schools throughout Colorado. 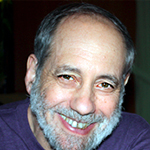 Scott is an advocate for progressive education and has presented at numerous conferences including the Alternative Learning Network Conference, Alternative Education Resource Organization Conference, and International Democratic Education Conference. He has also been a consultant for numerous schools in the United States and internationally. Josie Chang-Order is a doctoral candidate at the University of Colorado Boulder. She has taught in nonprofit organizations such as Crow Canyon Archaeological Center and the History Colorado Center. Her current research interests include informal education, public history career pathways, and gaming and learning. 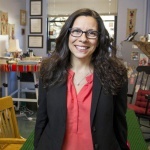 Cindy Cruz, Ph.D., is an urban ethnographer and educational researcher. She is an associate professor in the Department of Education at the University of California, Santa Cruz. She is also a member of the National Association of Chicana/o Studies, the American Educational Research Association, and the American Anthropological Association. Her research looks at the embodied practices of resistance in homeless LGBT youth communities, violence and youth, problems in testimonio methods, and the school-to-prison pipeline. She is also interested in decolonial feminist theory, community-based learning, race and schooling, and U.S. Third World feminism. 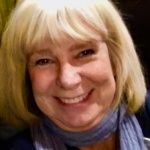 Mary J. de LeonDenton is a researcher and retired Speech/Language Pathologist with 36 years in the field. She earned her Doctor of Education from the University of Minnesota in Education Policy and Administration. She has served as an antiracism dialogue facilitator, Director of CareerTeacher – the St. Paul Federation of Teachers’ alternative licensure program, adjunct professor for St. Mary’s and Hamline Universities, an education research and dissemination trainer, and in numerous leadership positions for the St. Paul Federation of Teachers and Education Minnesota. Her continued work focuses on race, culture, equity, and privilege in public education. de Leon Denton’s previous work appears in Sexuality Matters: Paradigms and Policies for Educational Leaders (2009) and Educational Administration Quarterly (2012). 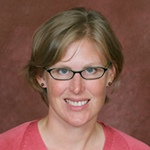 Kara Finnigan is associate professor of education policy at the University of Rochester. 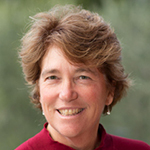 She has conducted research and evaluations of K12 educational policies and programs for more than 20 years through her work at the UR as well as prominent research organizations, including SRI International and the George Lucas Educational Foundation. She has written extensively about low-performing schools and highstakes accountability, district reform, principal leadership, and school choice. Finnigan's research blends perspectives in education, sociology, and political science; employs qualitative and quantitative methods, including social network analysis and GIS mapping; and focuses on urban school districts. Her current research focuses on the role of social networks in the acquisition, use, and diffusion of research evidence in education; school desegregation policies; and linkages between education, housing, health, and other policies to bring about regional equity. 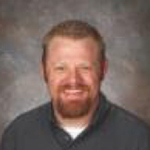 Ryan Frink has served as the principal of Grand Valley High School in Parachute, CO since 2006. Ryan was a member of the Colorado Department of Education’s State Graduation Portfolio/Capstone Work Group where he helped to create graduation guidelines for the state of Colorado. He also serves on the Board for “I’m Third”, a nonprofit organization that focuses on eliminating barriers for students in need. He also cofounded the Grand Valley Givers whose main focus is providing holiday gifts to less fortunate children. 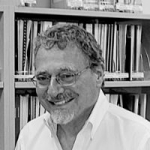 Norman Fruchter is Deputy Director for Research & Policy at NYU’s Metro Center. He was a Senior Scholar at the Annenberg Institute for School Reform, a mayoral appointee to the NYC School Board, a founder/director of NYU’s Institute for Education & Social Policy and the Aaron Diamond Foundation’s educational grant-maker. He directed an alternative high school for dropouts in Newark, and served ten years on his local Brooklyn school board. His latest book is Urban Schools, Public Will; he’s also published two novels and co-directed award-winning documentaries. He was a founder of the Campaign for Fiscal Equity (CFE). Kathy Gebhardt is the Executive Director of Children’s Voices, a nonprofit law firm, and Lift One Lift All, a network of public education supporters. 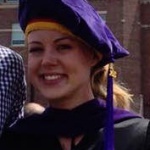 She graduated from the University of Denver College of Law and Lewis and Clark College. Her advocacy focuses on working to ensure that all schoolage children in Colorado, regardless of their background and where they live, have the opportunity for an excellent education. Kathy was the one of the lead attorneys in several school finance cases filed in Colorado over the past 20 years. Kathy is an adjunct professor at the University of Denver, Sturm College of Law and a fellow with the National Education Policy Center. She also serves on numerous boards, including the Boulder Valley School District Board of Education; Colorado Lawyers Committee; BEST (Building Excellent Schools Today); and Great Education Colorado. Joanna Goode is a professor of education studies at the University of Oregon and a former mathematics and computer science high school teacher. She completed her doctorate in urban schooling, her master’s degree in education, and her bachelor’s degree in applied mathematics and computing, all at UCLA. Her research examines how large scale reforms in computer science education can provide new opportunities and introduce new challenges to equity and inclusion in computing classrooms. 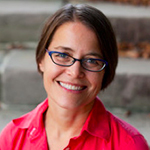 Joanna is the lead designer of the national Exploring Computer Science curriculum and professional development program and coauthor of the book, Stuck in the Shallow End: Education, Race, and Computing (MIT Press, 2008). 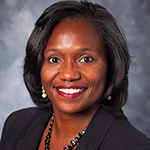 Beverly Harper earned a Doctor of Education in Educational Leadership from the University of Georgia. Her research interests include how principals develop teacher leaders and the effect teacher mentors have on new teachers. She is an elementary school assistant principal. Timothy Heaphy is the principal of Eastridge High School in Irondequoit, NY. Before becoming principal in 2014, he was a social studies teacher for seventeen years, an assistant principal for two years, and a ninth-grade principal for four years. He led a project, funded by the Michael and Susan Dell Foundation, which focused on getting more low income students to enroll and be successful in International Baccalaureate Diploma Programme courses. This sparked many school-wide changes including detracking several courses, building in extension support periods to help students be successful in the more rigorous classes, creating a mentoring pilot, and much more. 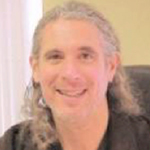 Eric Heiser is an educational consultant, an IB workshop leader and a site visitor. After spending 26 years in leadership positions at four international and American schools abroad in Norway, Japan, Switzerland, and Brazil, he has just concluded twelve years as Executive Director of Sturgis Charter Public School, a nationally and internationally recognized "IB for All" high school with two campuses in Hyannis, MA. 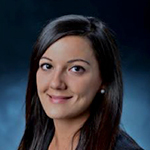 Rhianna Kirk earned her law degree from the University of Denver Sturm College of Law in August of 2016. During her first year of law school she accepted a position as a 3rd grade paraprofessional, and realized almost immediately that the classroom- not the courtroom- was where she truly wanted to be. So Rhianna chose the National Education Policy Center’s Schools of Opportunity project as the site of her externship. Rhianna is currently pursuing her Master’s Degree in Curriculum and Instruction along with her elementary teacher licensure through the Denver Teacher Residency Program at the University of Denver Morgridge College of Education. During her residency year she will be teaching a 5th grade class in Denver, CO. As an educator, she is committed to serving all students, especially those traditionally underserved. As she continues on her journey she is excited to continue exploring the various ways in which her background in law and policy, combined with her passion for education and working with students, will allow her to further support this important work. 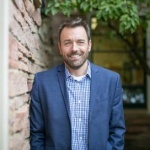 Ben Kirshner, PhD is Professor of Educational Psychology & Learning Sciences in the School of Education at the University of Colorado Boulder and Faculty Director of CU Engage: Community-Based Learning and Research. Ben's research examines how young people from marginalized communities interpret their sociopolitical context and learn to exercise collective political agency. Ben is co-PI for a international study, led by Roderick Watts and funded by Atlantic Philanthropies, examining community-based youth organizing as a vehicle for civic engagement in South Africa, Ireland, and the United States. In a study supported by the Spencer Foundation, Ben works with secondary school teachers to provide opportunities for their students to discuss, investigate, and take action to dismantle educational barriers, such as unsafe school climates or inadequate facilities. He is also a a “network advisor” for the MacArthur Foundation’s Connected Learning Research Network. His publications discuss youth civic engagement and activism, participatory action research, and urban education policy. 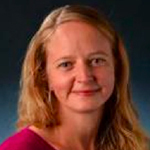 Tammy Kolbe is an Assistant Professor of Educational Leadership & Policy Studies at the University of Vermont. She earned an Ed.D. in Educational Leadership & Policy Studies from the University of Vermont and an M.S. in Policy Analysis and Program Evaluation from The Pennsylvania State University. She is committed to developing a better understanding of the types of policies, practices, and resources that promote equal educational opportunities for all students. Most recently, she has examined the differences in instructional quality among schools, the role of cost in promoting or constraining students’ access to college, and the impact of special education funding on students with disabilities’ opportunities to learn. Through her work, she has spent countless hours working with public schools and policymakers on efforts to understand and promote measures that improve the fairness and efficiency with which schools operate. Brian Lightfoot is a PhD student in Education Foundations, Policy, and Practice in the School of Education, University of Colorado Boulder. 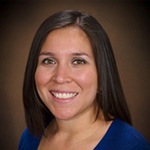 Ruth M. López is an Assistant Professor in the Department of Educational Leadership & Policy Studies at the University of Houston. Previously, she was a Senior Research Associate in Research & Policy at the Annenberg Institute for School Reform at Brown University. She also served as a program coordinator at the University of Colorado Boulder for the Colorado Diversity Initiative, where she coordinated a summer undergraduate STEM research program for underrepresented students from all over the country. 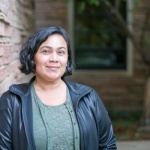 She earned her PhD in Educational Foundations, Policy, and Practice from the School of Education at the University of Colorado Boulder, where she also received a graduate certificate in Comparative Ethnic Studies. Her research interests include the educational experiences of students of color; the education of undocumented students; and issues of access, equity, and diversity at all levels of education. 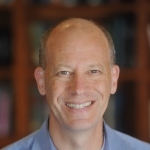 Jeff MacSwan is a professor in Language, Literacy, and Social Inquiry (LLSI) and in the Program in Neuroscience and Cognitive Science at the University of Maryland. He is affiliated faculty in the University of Maryland Linguistics Department and the Center for the Advanced Study of Language (CASL). He is also editor of the International Multilingual Research Journal, and currently serves on several editorial boards. He is the author of over fifty publications. Examples of his work appear in Bilingualism: Language and Cognition, Lingua, Hispanic Journal of Behavioral Sciences, Teachers College Record, Education Policy Analysis Archives, and in edited collections and handbooks. He is a Fellow of the National Education Policy Center (NEPC) and of the American Educational Research Association. 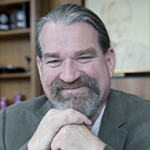 William J. Mathis is the managing director of NEPC and the former superintendent of schools for the Rutland Northeast Supervisory Union in Brandon, Vermont. He was a National Superintendent of the Year finalist and a Vermont Superintendent of the Year. He currently serves on the Vermont State Board of Education and chairs the legislative committee. He has published or presented research on finance, assessment, accountability, standards, cost-effectiveness, education reform, history, and Constitutional issues. He also serves on various editorial boards and frequently publishes commentary on educational policy issues. 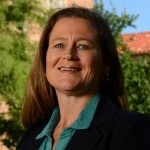 Elizabeth J. Meyer is the Associate Dean of Teacher Education at the University of Colorado at Boulder. Previously she held positions as Assistant Professor in the School of Education at California Polytechnic State University in San Luis Obispo and Concordia University in Montreal, Quebec Canada. Dr. Meyer is a former high school teacher whose research and writing focuses on issues related to gender and sexual diversity in K-12 schools. Current research projects include investigating the experiences of Title IX coordinators in school districts in California and Colorado. 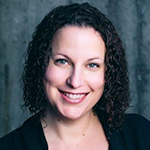 She is also a co-investigator on a SSHRC (Social Sciences and Humanities Research Council of Canada) -funded project that is examining transgender-affirming school policies and practices in the US, Canada and Australia. Other recent projects include: a California-based action research project on the implementation of Seth’s Law and the FAIR Education Act (www.centralcoastinclusiveschools.org), a Montreal-based action research project on empowering gender creative kids and their families (www.gendercreativekids.ca), and a national survey of Canadian K-12 teachers’ training and experiences with Gender and Sexual Diversity (GSD) education. Wagma Mommandi is a doctoral student in the School of Education at the University of Colorado Boulder. She is a Graduate Research Assistant for the National Education Policy Center working on a study about charter schools and access. Wagma holds an M.Ed. in Curriculum and Instruction from American University and a B.A. in Biology from Colorado College. Prior to graduate school, Wagma was a high school science teacher and coach in the District of Columbia Public Schools. Her research interests lie at the intersection of education policy and critical theories of race. 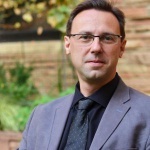 David Nieto, PhD is an Assistant Research Professor and Executive Director of the BUENO Center for Multicultural Education at the School of Education, University of Colorado Boulder. His research focuses on the areas of education policy, language, and equity. In particular, he is interested in policies and practices that shape the education of cultural and linguistically diverse students. In addition, interests include teacher preparation and leadership in diverse settings, bilingual education, English language development, and language policy in education. 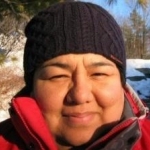 Deborah Palmer is a Professor in the program in Educational Equity and Cultural Diversity in the School of Education at the University of Colorado Boulder. She was a two-way dual language teacher in Redwood City, CA prior to entering the Ph.D. program at UC Berkeley in Language, Literacy and Culture in Education in1999. After graduating she spent 11 years on the faculty at the University of Texas at Austin in C&I: Bilingual/Bicultural Education. She conducts qualitative research using ethnographic and discourse analytic methods in culturally and linguistically diverse settings. She led study abroad programs for education students at the University of Texas at Austin to Cuernavaca, Mexico in 2007, and to Antigua, Guatemala in 2013 and 2015. She is currently working on a book for Multilingual Matters based on the experiences of master bilingual teachers in Proyecto Maestría, a National Professional Development Project that she directed in Austin Texas from 2007 to 2013. 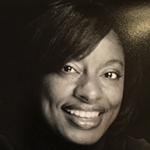 April L. Peters-Hawkins is an Associate Professor at the University of Houston. She earned a Ph.D. in Educational Policy and Leadership from The Ohio State University, an MSW from Teacher’s College, Columbia University in New York and a B.S.Ed. from Northwestern University in Evanston, IL. She has worked as a middle school teacher, a school social worker, Dean of students and a high school principal. 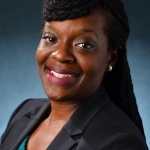 She has also served as a consultant for the Institute for Student Achievement (ISA) in the Atlanta Public Schools, where she focused on assisting school leaders and teachers in implementing small school reform model in select high schools. Her research interests include: women in school leadership; examining the ways that districts provide mentoring and support for early career administrators; and leadership and small school reform. 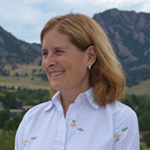 Tonda Potts has experience as both a special education and general education teacher, staff developer, Clinical Professor (University of Colorado Boulder), Director of Special Education, principal, Executive Director for Curriculum/Instruction, and Superintendent of Schools. Special interests include literacy, special education, and ESL. She currently works as a co-writer for AVID Foundations book used to train thousands of educators each year and as a part-time staff developer for principals and teachers. 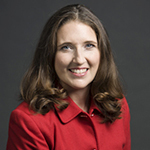 Mary Cathryn Ricker is the executive vice president of the American Federation of Teachers. She was elected to that position in July 2014 at the AFT's biennial convention in Los Angeles. Ricker has served as president of the Saint Paul (Minn.) Federation of Teachers since 2005, as an AFT vice president since 2012, and as a member of the AFT K12 Teachers program and policy council since 2006. Ricker has taught in classrooms in Minnesota, Washington and Seoul, South Korea. In addition to being a National Board Certified middle school English teacher, Ricker also serves on the National Board for Professional Teaching Standards board of directors and the Education Minnesota governing board. She is also a past president of the Education Minnesota Foundation for Teaching and Learning. John Rogers is a Professor at UCLA’s Graduate School of Education and Information Studies and Director of UCLA’s Institute for Democracy, Education, and Access (IDEA). He also serves as the Faculty Director of Center X, which houses UCLA’s Teacher Education Program, Principal Leadership Program, and professional development initiatives. Rogers studies the role of civic engagement in equity-focused school reform and civic renewal and the relationship between education and different forms of inequality. He currently is the principal investigator of the “Keeping Time Project” which explores the ways that learning time is experienced differently across low-income and affluent communities. Rogers also co-leads the “Learning About Inequality” project that examines how high schools across North America engage students in lessons about economic, social, and racial inequality. 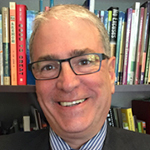 John Rogers is the co-author of Learning Power: Organizing for Education and Justice and co-editor of Public Engagement for Public Education: Joining Forces to Revitalize Democracy and Equalize Schools. He received his Ph.D. in Education from Stanford University and his B.A. in Public Policy and African American Studies from Princeton University. 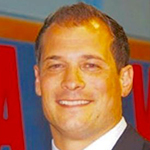 David Roll is principal at William Smith High School in Aurora, Colorado. William Smith was a Schools of Opportunity Gold recipient in 2016. 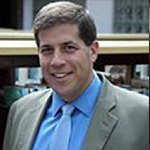 Vincent Romano is the principal of Malverne High School in Malverne, New York. Romano has served as a teacher, a coach, a chairperson and an assistant principal, as well as an adjunct professor at St. John’s University. He received his doctorate from St. John’s University where he conducted a study on the effectiveness of classroom observation practices for the purpose of instructional improvement. He has been a presenter at many national, state, and local conferences and was the recipient of several awards including the SCOPE Education Award for Exemplary Leadership and Phi Delta Kappa “Friend of Education” Recognition. Juan Gabriel Sánchez is currently a doctoral candidate at Boston College. His research interests revolve around teacher education reform, curriculum theory, assessment, and the intersection between democracy and education. 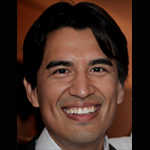 Juan Gabriel previously taught at a project- and inquiry-based public high school in Philadelphia, where he learned the affordances of encouraging teachers to take both leadership and inquiry stances. These experiences have also helped him to understand the importance of providing teachers with the opportunities and, importantly, the resources to hone their craft over time. To that end, the work he hopes to do after his program involves working as a teacher educator who empowers educators to learn and advocate for themselves. 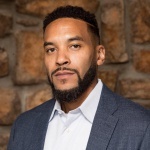 Ron Scapp is the founding director of the Graduate Program of Urban and Multicultural Education at the College of Mount Saint Vincent in the Bronx, NY, where he is also professor of humanities and teacher education. Scapp is also a former president of the National Association for Ethnic Studies (2011-2015) and a current member of the International Committee for Kappa Delta Pi. He has been a longtime fellow at the National Education Policy Center at the University of Colorado, Boulder. Scapp has written and edited numerous books on a variety of topics including popular culture, education, social and political philosophy and art criticism. He was recently a visiting scholar at Teachers College, Columbia University and his new book, Reclaiming Education: Moving Beyond the Culture of Reform, will be published in September 2016. 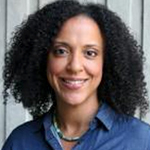 Janelle Scott is a Chancellor’s Associate Professor at the University of California at Berkeley in the Graduate School of Education, Goldman School of Public Policy, and African American Studies Department. Her research explores the relationship between education, policy, and equality of opportunity through three policy strands: 1) the racial politics of public education, 2) the politics of school choice, marketization, and privatization, and, 3) the role of elite and community-based advocacy in shaping public education policies and research evidence utilization. She was a Spencer Foundation Dissertation Year Fellow and a National Academy of Education/Spencer Foundation Postdoctoral Fellow. 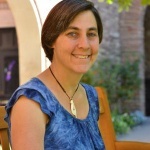 With Co-Principal Investigators Christopher Lubienski and Elizabeth DeBray, and funding from the William T. Grant Foundation, she is currently studying the role of intermediary organizations in research production, promotion, and utilization in the case of incentivist educational reforms. Lorrie A. Shepard, PhD is University Distinguished Professor and Dean of the School of Education at the University of Colorado Boulder. 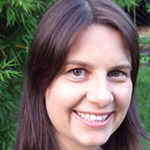 Her research focuses on psychometrics and the use and misuse of tests in educational settings. Her technical work has contributed to validity theory, standard setting, and statistical models for detecting test bias. Her research studies on test use have addressed the identification of learning disabilities, readiness screening for kindergarten, grade retention, teacher testing, effects of high-stakes accountability testing, and most recently the use of classroom assessment to support teaching and learning. 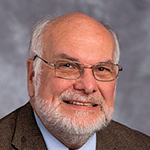 Gregory Smith is an emeritus professor of teacher education in the Graduate School of Education and Counseling at Lewis & Clark College, Portland, Oregon. 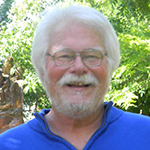 He has been writing and teaching about environmental and sustainability education since the 1980s. His research and publishing efforts have focused on finding ways to strengthen the connections that young people experience with their communities and places. 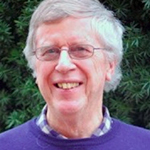 He is the author, coauthor, editor, or coeditor of the following; Reducing the Risk: Schools as Communities of Support (with Wehlage, Rutter, Lesko, and Fernandez; 1989); Education and the Environment: Learning to Live with Limits (1991); Public Schools That Work: Creating Community (1993); Ecological Education in Action: On Weaving Education, Culture, and the Environment (with Williams; 1999); Place-based Education in the Global Age: Local Diversity (with Gruenewald; 2008); Place- and Community-based Education in Schools (with Sobel; 2010). John Thompson earned a doctorate in U.S. History at Rutgers University. After adversity severely affected his neighborhood in Oklahoma City, he changed from an award-winning Oklahoma historian to an award-winning inner city teacher. Dr. Thompson’s book, A Teacher’s Tale: Learning, Loving and Listening to Our Kids, is a case study of the unintended negative effects of test-driven, competition-driven reform on an inner city high school in the Oklahoma City Public School System. 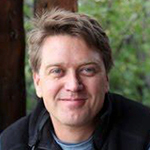 Pete Tierney is the founder and, for the last two decades, the lead teacher at Long View High School, a unique, small, familial style school in Jefferson County, Colorado. After graduating from Notre Dame University, he joined the Peace Corps and after his service, he held a variety of teaching, counseling, and supervisory positions, which included starting Colorado’s first youth conservation corps. For 25 years, he oversaw the corps’ growth from its original eight corps members to its current 1600 members. He has spent his entire 49-year career working in personalized educational settings with students who need additional support to achieve their potential. Avi Tropper works in education management policy in New York City. Over the past dozen years, he has served as a teacher, dean of students, assistant principal, principal, and education officer. He has also taught graduate courses. Avi has successfully turned around struggling schools by collaborating with fellow educators on instructional and organizational innovations and blending the use of positive psychology within school culture-building. He has participated in the design of multiple innovative new school models expressly created to close the opportunity gap. He opened a high school where all students were intended to participate in the International Baccalaureate Diploma Program. Avi’s writing on education focuses on the use and misuse of data and research in setting policy that leverages education to create greater opportunities for all students. 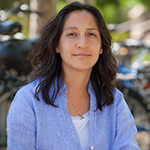 Tina Trujillo is an associate professor at UC Berkeley’s Graduate School of Education and the Faculty Director of UC Berkeley’s Principal Leadership Institute. She earned her Ph.D. in Education from UCLA and her M.A. in Education from the University of Colorado, Boulder. She uses tools from political science and critical policy studies to study the political dimensions of urban district reform, the instructional and democratic consequences of high-stakes testing and accountability policies for students of color and English Language Learners, and trends in urban educational leadership. 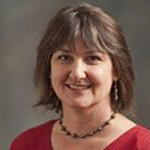 Her work has been published in a range of journals, including American Educational Research Journal, Teachers College Record, Journal of Educational Administration, and Educational Evaluation and Policy Analysis. 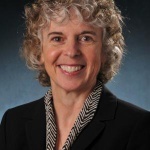 She is the coeditor of Learning from the Federal Market-Based Reforms: Lessons for the Every Student Succeeds Act (ESSA) (2016, Information Age Publishing, with William Mathis). She is a fellow with NEPC. Kerri Ullucci is an associate professor of urban education at Roger Williams University where she prepares K-12 teachers for urban schools. She received her BA from Carnegie Mellon, her MAT from the University of Pittsburgh and her Ph.D from UCLA. She is a former elementary teacher and in her last classroom position, she taught fourth grade in an urban school. Her research interests include race and poverty issues in schooling and the development of culturally relevant teaching practices. She has been published in several journals, including Urban Education, Race, Ethnicity and Education and Teacher Education Quarterly. 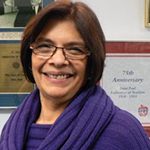 Siomara Valladares is Faculty Research Associate in the School of Education, CU Engage-Research Hub. She is presently working with colleagues to establish new partnerships with youth organizing groups that will generate new knowledge for improved policy and practice within local, national, and international contexts. Siomara received her Ph.D. and M.A. in Education from the University of California Los Angeles and her B.A. in English from the University of California Irvine. She is an evaluator of education programs, and has worked in higher education research and administration. 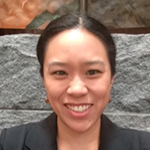 Prior to joining CU Engage, Siomara was a visiting scholar and research associate for the Massachusetts Institute of Technology, where she worked on the Initiative for Faculty Race and Diversity. She was a postdoctoral fellow with the University of California All Campus Consortium on Research for Diversity. Her areas of interest include equity in education, making research accessible to a broader public, education evaluation, and faculty and student diversity in higher education. Her work focuses on using research as a tool for building alliances and creating reform in public institutions. 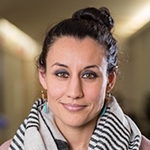 Prior to joining the Learning Sciences faculty at Northwestern University in 2014, Shirin Vossoughi was a postdoctoral fellow at Stanford University and the Exploratorium, where she led an ethnographic study of after-school programs that blend scientific inquiry, literacy and the arts. More broadly, she draws on a range of interpretive methods to study the social, historical, political and ethical dimensions of learning. Vossoughi’s research centers on hybrid learning environments that blend formal and informal elements and support young people to engage in sophisticated forms of disciplinary thinking while questioning and expanding disciplinary boundaries. She is particularly concerned with the forms of pedagogical mediation and developmental trajectories that take shape within these settings. Vossoughi has taught in schools, after-school and summer programs, and served as the director of a summer camp for youth in the Iranian diaspora. 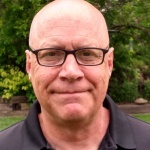 Russ Walsh is the coordinator of college reading at Rider University in Lawrenceville, NJ. 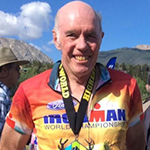 His career in public education spans forty-five years and he has served as a teacher, a literacy specialist, a curriculum supervisor and a college instructor. He has taught at every level of education from kindergarten through graduate school. Russ’ blog, “Russ on Reading”, focuses on public education, literacy instruction and teaching practice. He is also the author of A Parent’s Guide to Public Education in the 21st Century (Garn Press, 2016). Terrenda White is an Assistant Professor of Sociology and Education at the University of Colorado-Boulder. Her current research focuses on market-based education reforms in urban communities, and its cultural and pedagogical impact on teacher dispositions, teacher professional autonomy and identity, and the development of inclusive classroom practices. Particularly, White explores charter school reform and the organizational distinctions across community-based charter schools and privately managed charter schools. 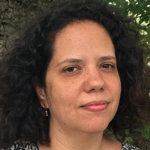 Her work has implications for how to tease out important ideological differences unfolding across the charter sector, as it relates to privatization, equity, and issues of power and control of teaching and learning in largely segregated and underserved Black/African American and Latino/a communities. White also emphasizes the varied responses of teachers to market-based education restructuring, highlighting dilemmas that current policies pose for teacher autonomy and the development of critical and culturally responsive practices with historically marginalized and under-served students. 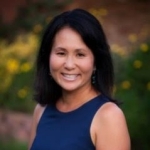 Susan Yonezawa is Associate Director of CREATE at the University of California, San Diego. Yonezawa straddles the worlds of policy, practice, and research, working to embed research and design techniques and mindsets into the lived practices and policies of urban public schooling. She analyzes and engages issues of diversity, opportunity, and inequality in schools and communities, with a focus on the district, school and classroom leverage points that can increase college access for underrepresented, low-income students. Yonezawa works with and helps lead educators and researchers at CREATE in design-based research and evaluation on educational practices K-20. She does this with her colleagues by providing teacher professional development for K-14 educators in science, mathematics, reading and writing, and modeling and testing new designs within college outreach programs –including statewide Early Academic Outreach Programs (EAOP) and federal TRIO programs such as Upward Bound. 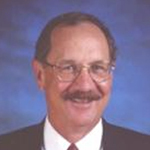 Ken Zeichner is the Boeing Professor of Teacher Education at the University of Washington, Seattle. He is a former Vice President of the American Educational Research Association, a member of the National Academy of Education and Fellow of the American Educational Research Association and NEPC. He received the Legacy Award by AERA’s Division K and the Lifetime Achievement Award by the American Association of Colleges for Teacher Education (2009). Ken was a faculty member at the University of Wiscons-Madison from 1976-2009, serving as the Hoefs-Bascom Professor of Teacher Education and as Associate Dean for Teacher Education and International Education. Much of his work in teacher education has involved directing clinical teacher education programs and school university teacher education partnerships. 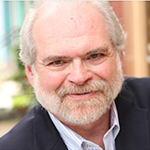 His research focuses on various aspects of teacher education in the U.S. and internationally.